Want to learn more about computers? Math? How to use your new IPhone? Everyone can find something useful at GCFLearnFree.org. Take it on the go with their Mobile Apps for Android, iOS or Kindle. Thanks to the State Library of Iowa and the Institute of Museum and Library Services, our patrons now have access to the Credo Online Reference Service. With a collection of over 1,000 full-text reference titles, as well as thousands of images and videos, Credo offers credible, authoritative information for homework, school projects, job search preparation, and other reference needs. You can access from the library without logging in, or from home with a barcode, just go to https://search.credoreference.com/. Now available online through Grafton Public Library at Bridges! Reads just like the real thing! Bridges - Check out Ebooks & Audiobooks for free! 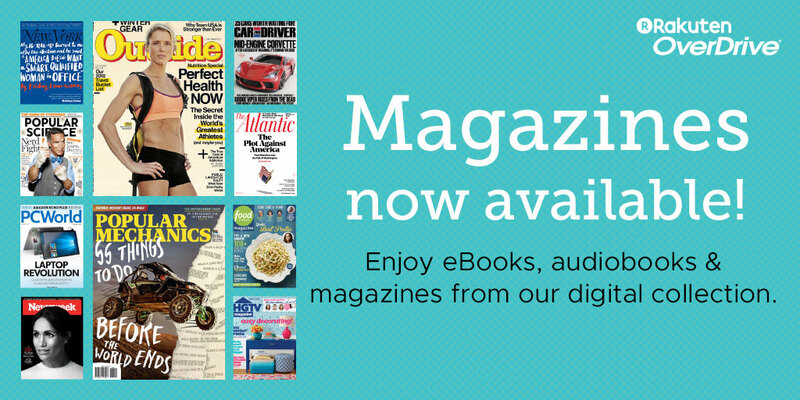 Our E-book and audiobook collection is on BRIDGES - powered by Overdrive. Free to Grafton library patrons with your library card number! Just sign in through Grafton Public Library (your account number is your 14-digit Grafton library card number) and read or listen in a browser online, or download to your device to read or listen offline. There are never any fines because they remove it from your account when it's due. Have you had your book for two weeks but you're not quite finished? - No problem! You may renew if nobody else is waiting for that book. Want a book but it's unavailable? Place a hold and they will email you when it's available for you. For guides on using your devices and other support pages, visit the help pages. Call Nancy at the library or stop in if you need any assistance!